The CMS 50D Plus pulse oximeter is a versatile health-monitoring tool which includes everything you need to connect to your computer to see detailed oximetry reports. You can wear the pulse oximeter during naps or all night long with or without your CPAP machine to get detailed oximetry readings. The built-in flash memory will record up to 24 hours of data. Just plug your oximeter into your computer with the included USB cable and you'll be able to create a report with the included software. You can also use the CMS 50D Plus pulseox for instantaneous spot-checks of your pulse and oxygen saturation (that is, you don't need to wear it for extended sleep sessions for it to be useful). The CMS 50D Plus pulse oximeter is a full featured fingertip pulse oximeter that is perfect for CPAP users who want to monitor their pulse and oxygen saturation periodically during the night. This type of oximeter can help you as a CPAP user determine the effectiveness of your current CPAP pressure. With 24 hours of data storage, software, USB cable, carrying case, and 24 month warranty, the 50D Plus is a great way to take control of your CPAP therapy and your health. What's the key difference between the CMS-50D Plus and the next model up? The CMS-50D Plus is the most advanced pulse oximeter available for under $100. The primary difference between the CMS-50D Plus featured here and the 50E model is that the 50E pulseox has a rechargeable lithium battery (compared to the regular alkaline batteries used in the 50D Plus). Also, the CMS50E allows the user to enter the time for recording purposes. The CMS50D Plus does not allow the user to enter the time of day. What's the key difference between the CMS50D Plus and the next model down? The CMS50D Plus features built-in flash memory, USB port and software. The next model down is the 50D which does not record data and which does not support computer connectivity. What else is the CMS 50D Plus pulse oximeter good for? Besides being an exceptional instrument for CPAP users, the CMS 50D Plus pulse oximeter is useful in sleep studies, personal health spot-checking, diabetes management, athletics, and in primary care treatment. The CMS 50D Plus pulseox is also an excellent tool for climbers, skiers, pilots and anyone else at high altitude or where hypoxia is a concern. For example, a pilot in a small aircraft can set an alarm for the oxygen saturation level so that the CMS 50D Plus can alert the pilot to the potential of hypoxia caused altitude. I've seen fingertip pulse oximeters that cost a lot more, but that don't have the features of the CMS 50D Plus. What's the deal? We've seen those same expensive oximeters! In fact we've seen fingertip oximeters from certain manufacturers that retail for nearly $400 that offer the functionality of our least expensive, most basic pulse oximeters that retail for around $40. The bottom line is that our pulse oximeters are packed with features and are among the most reliable pulse oximeters in the industry. They're backed by a 1-year warranty. 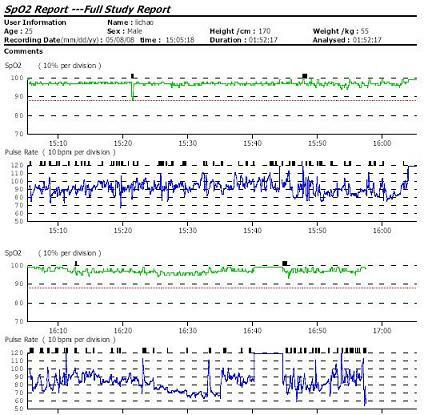 Measurement Performance in Weak Filling Condition:SpO2 and pulse rate can be shown correctly when pulse-filling ratio is 0.4%. 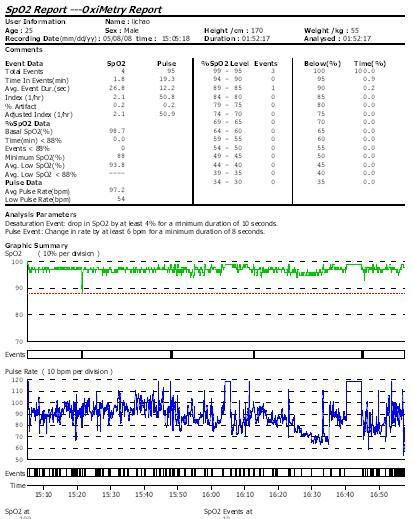 SpO2 error is 4%, pulse rate error is 2 bpm or 2% (select larger). Resistance to surrounding light: The deviation between the value measured in the condition of man-made light or indoor natural light and that of darkroom is less than 1%. Battery working hour: The minimum continually work time is 24hours, theoretical number is 32 hours.